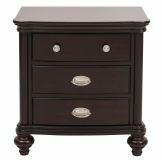 Refined elegance is exemplified in the design of the Marston Collection. 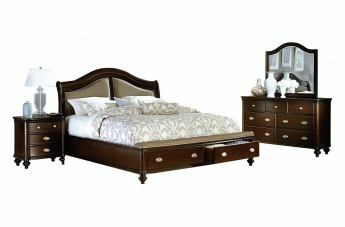 Blending classic design elements to create a warm and welcoming bedroom. 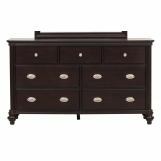 Each piece in the collection features turned feet and high polished oval bale pull and knob hardware. 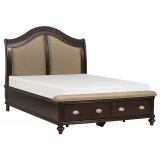 The neutral toned fabric inserts of the headboard and the padded footboard rail feature nailhead accent. 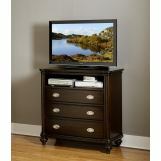 Drawer storage features prominently on the footboard, offering that extra functional space that you need. 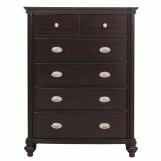 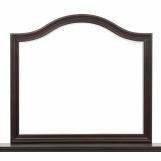 The classic dark cherry finish further lends to the modern traditional look of the Marston Collection.